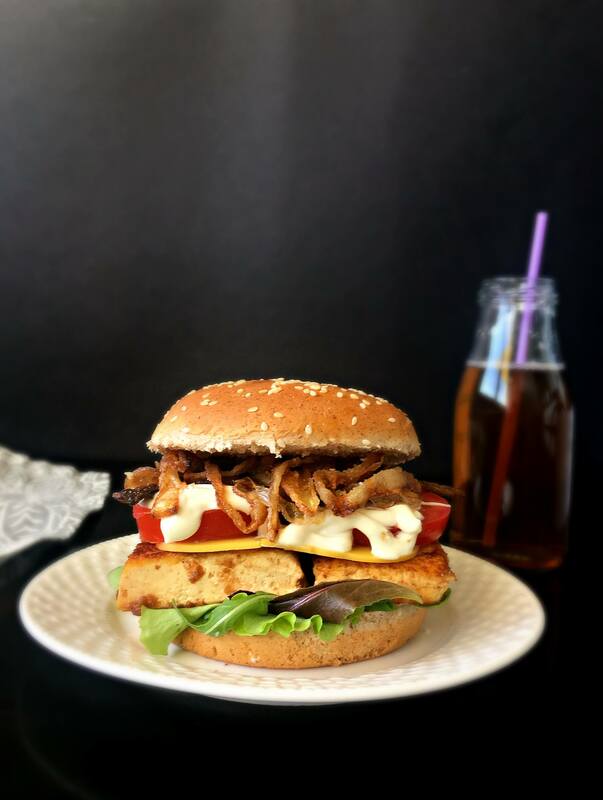 Vegan Tofu BBQ Burger – a super easy, vegan burger recipe that’s perfect for grilling or Summer dinner parties. Make the best 4th of July menu with this baby. The crispy fried onions, the juicy BBQ tofu and lettuce with tomatoes create a tasty party in you mouth. Let’s eat! Alright. Let’s talk about this baby for a second. This burger is the mother of all vegan burgers. 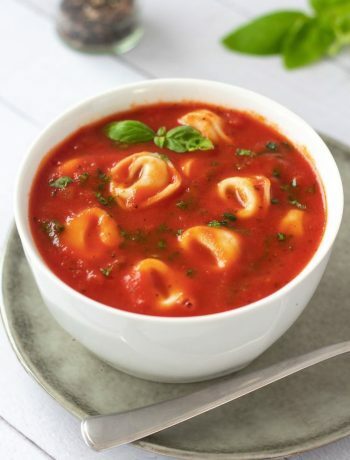 Not only because it’s so super easy to make (perfect for beginners, trust me 😉 ) but it’s SO ridiculously flavorful and juicy. I recommend you make your own fried onions and if you are an advanced vegan chef, maybe make your own veganese (vegan mayonnaise) too. To make the BBQ tofu, just marinate it into your favorite sauce for 1-2 hours (depends how much time you have) then fry it in a pan on both sides. After that you just have to layer all the ingredients to create the burger. Serve with a glass of ice cold peach/lemon tea. 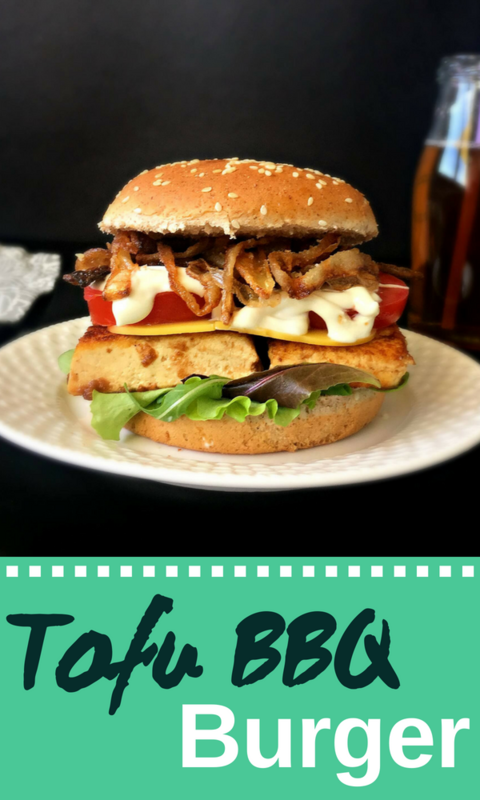 Vegan Tofu BBQ Burger - an easy, vegan burger recipe that's perfect for grilling or Summer dinner parties. 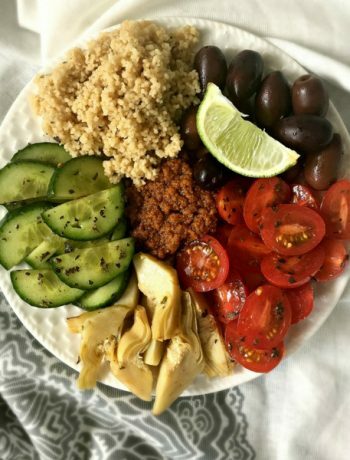 This healthy meal will be the star of your 4th of July menu. Marinate the tofu in your favorite BBQ sauce for 1-2 hour(s). While the tofu is soaking in the sauce, fry the onions. Cut the onion into thin slices, then dip them into flour and fry until they turn golden brown. (Should be around 2 minutes). Fry the tofu in a pan on both sides. Add all the ingredients to create the burger. Enjoy with a big glass of lemon iced tea! 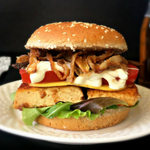 Did you make this Vegan Tofu BBQ Burger? Or do you have any questions? Let me know in the comments!